Quinns: It’s the games news! It can’t stop moving or it dies! It has 3000 teeth arranged in sequential rows! It– no, hang on, that’s the great white shark. I always get them mixed up. Above you’ll see a photo of incredible team game Space Cadets, which Brendan and I took a look at back on our old site. Basically, you all control a different station, whether it’s engineering, weapons, the helm and so on, and then a farce commences at lightspeed with everyone blaming everybody else. 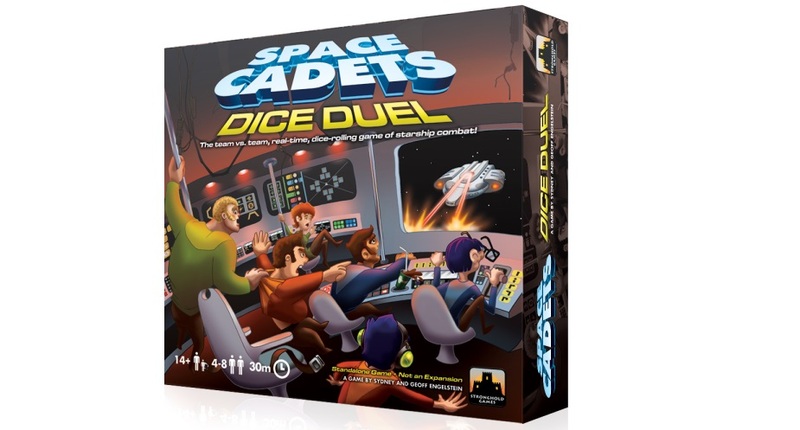 This week saw the announcement of standalone game Space Cadets: Dice Duel. All the fun of crashing into asteroids in space, but in a team combat game! Oh, baby! But that’s just to kick us off. We’ve also got the game of a Neil Gaiman short story, and the week’s most exciting Kickstarters. Ensign, take us forward. Details on Dice Duel are pretty thin, but I’m still diverting full power to my Excitement Tubes. 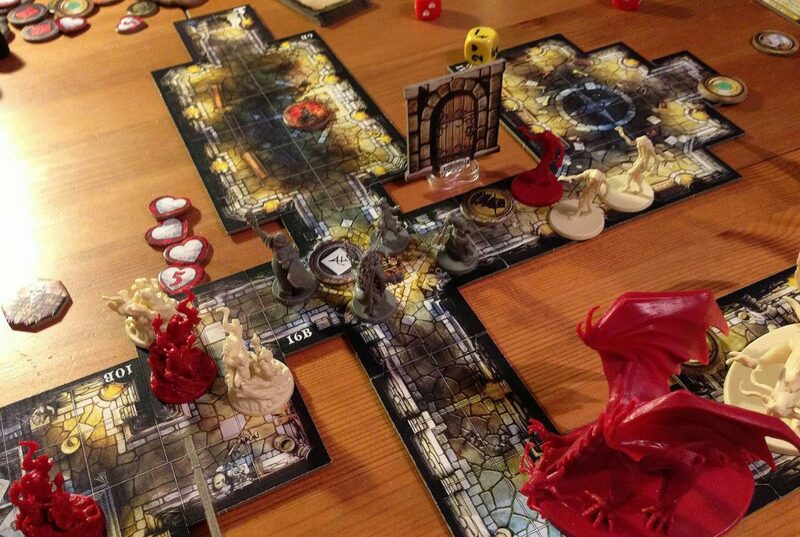 Just the other month I was lamenting the lack of team games in board gaming, and this sounds pretty perfect. Two teams of 2-4 players desperately straddling sensors, weapons, engineering, helm, shields and the terrifying tractor beam, in a light duel across 15-30 minutes. Making it not just a funnier proposition that Space Cadets’ intensive sim, but about an eighth of the length. Sounds just perfect to me. The annual MENSA MIND GAMES convention was held this week, wherein 300 members of “the largest and oldest high IQ society in the world” (thanks wikipeddia) gathered to do battle with one another. Disappointingly, this didn’t take the form of the attendees battering their skulls against one another like stags in heat, but rather had them playing table games. Forbidden Desert, a co-op game of scavenging in an ever-shifting, blisteringly hot desert. Suburbia, a competitive game of developing a small metropolis featuring a lot of hexagons, most intelligent of all the shapes. KerFlip!, which sounds like it is to scrabble what cocaine is to a nice cup of tea. 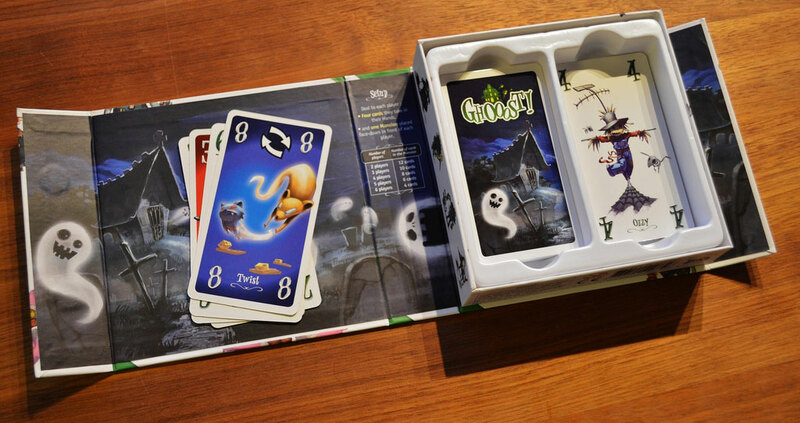 Kulami, which falls into my own personal genre of “Abstract games featuring indented wood that you would have to handcuff me to the table to get me to play.” And finally, Ghoooost!, seen above. Which looks distinctly un-Mensa in that it doesn’t take itself too seriously, until you read the description and realise it’s just a heavily themed card game. Speaking of which, definitely don’t take my early-morning wittering too seriously. 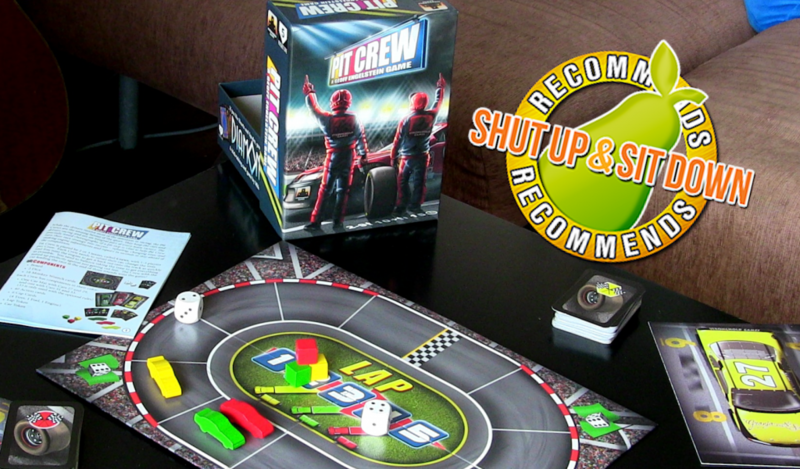 The BoardGameGeek news blog, from which I cheerily burgle most of the stories for this roundup, says they’re great games all. The BGG News Blog this week posted their preview of Saint Malo, a decent-looking, but quite heavy European-style game which is at the FOREFRONT OF BOARD GAMING TECHNOLOGY. 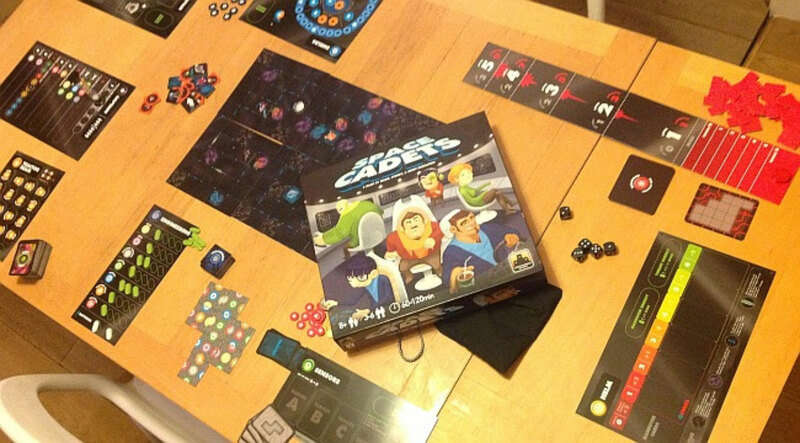 …which is to say it replaces cardboard chits with erase boards that each player can draw their resources and developments on. I don’t trust it one bit, frankly. That said, these sorts of heavyweights can be a TON of fun. Just look at this review of Castles of Burgundy Paul & I did last year! Course, if you come to SU&SD for just the opposite, check this out. A preview video of Legend of Cipher: The Game of Hip-Hop, which you can buy right here. A deck-building game where players first acquire “bars” to go into their deck, then play them during the “show” phase and have the option of freestyling – in REAL LIFE – as they play them. 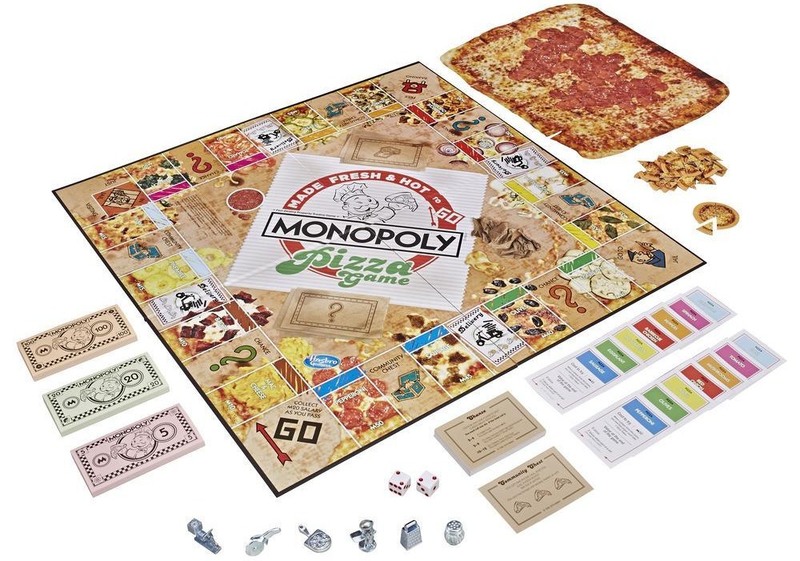 Basically, I now know what I’m getting Paul for his birthday. Basically. And FINALLY, we’ve got some Kickstarters for you to fling yourself at like a sticky lil’ tree frog. 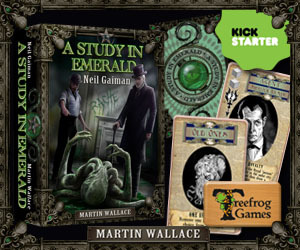 A Study in Emerald has been summoning the money from a great many geeks. In essence, it’s a dark ritual featuring the designer of A Few Acres of Snow, based on a short story of the same name by Neil Gaiman wherein fiction has come to life. H.P. Lovecraft’s old ones are ruling the world as Sherlock Holmes is apparently investigating Jack the Ripper. Chronos Conquest! Don’t give me a dozen old ideas. Give me one, wonderful new one. Ideally themed around Greek gods. The above image is just a prototype. The suffocatingly smart idea at the centre of this turn-free game is that players are Greek Gods (YESSS!) competing for territory and cards in the centre of the table. 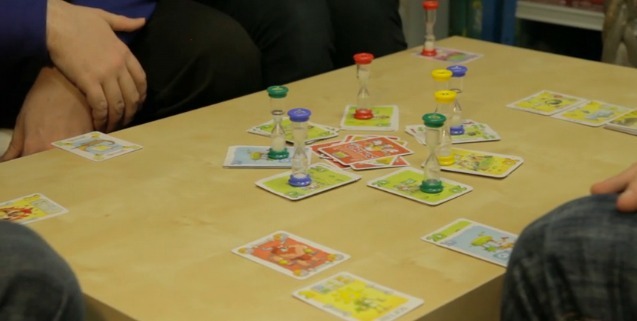 To get a card, just put your sand timer on it. When the sand runs out, you get the card, and the timer. UNLESS another player puts their sand timer on it. At which point, once you’ve both run out of sand, it’s whoever picks their sand timer up last that gets the card. In other words, it’s a fast-paced, tactical game of chicken. Beautiful. Perfect. Where did I leave my wallet. In an unsually mathematical sequel, the Japanese publisher of the excellent Love Letter has announced an official spinoff. Love Letter was a gorgeous bluffing game designed with just 16 cards. Lost Legacy will have the same rules, but two different sets of 16 cards, so you can play two utterly new varients of Love Letter, or combine cards from the different sets for… 16 times 16… no, but the remainder… and… no, it’s 16 but minus 1 for each… for a very large number of different kinds. Of Love Letter.